Over the last two years, Pinpoint has helped parents whose children and young people have been self-harming. Our monthly support group is no longer running but we are working with other charities and county partners to develop a co-ordinated approach to supporting families affected by self harm. We are supporting the ‘Listen’ groups that run in Huntingdon and Cambridge every month. In the meantime, we have resources to share, including some useful tips and strategies. You can also contact Eve Redgrave – email eve@pinpoint-cambs.org.uk or call the Pinpoint office on 01480 877333. 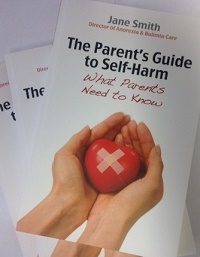 ‘The Parent’s Guide to Self-Harm’ by Jane Smith as an extremely useful source of information. We have copies available to parents on request. CHUMS – support for parents and children and young people in Cambridgeshire (up to 25) and Peterborough (up to 18). Cambridgeshire contact number os 0330 0581 659 and Peterborough 0330 0581 657. 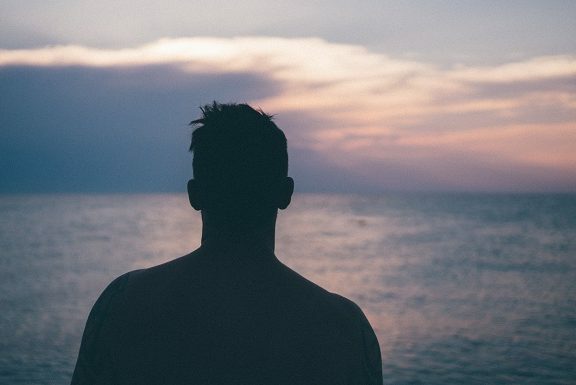 Parent Mark gave up his career when his son’s self-harming began to escalate. Now, he’s back to helping others but this time he’s supporting other parents at Listen*, a new Huntingdon group he set up last autumn. 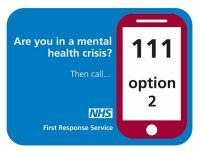 Call 111 and select option 2. Anyone living in Cambs and Peterborough can self-refer to this First Response Service.